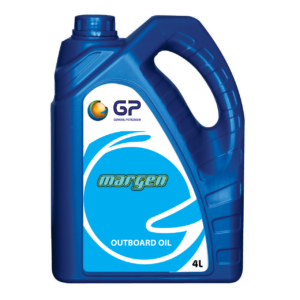 GP MARGEN MARINE LUBRICANTS are premium quality, highly alkaline diesel engine oils formulated with premium base oils and a very specially selected additive package that exhibit good acid neutralization and thermal stability, besides anti wear and anti corrosion properties. GP MARGEN MARINE LUBRICANTS are premium quality, highly alkaline diesel engine oils formulated with premium base oils and a very specially selected additive package that exhibit good acid neutralization and thermal stability, besides anti wear and anti corrosion properties. It promotes engine cleanliness, prolongs engine life and protects the engine against frictional wear and corrosion. 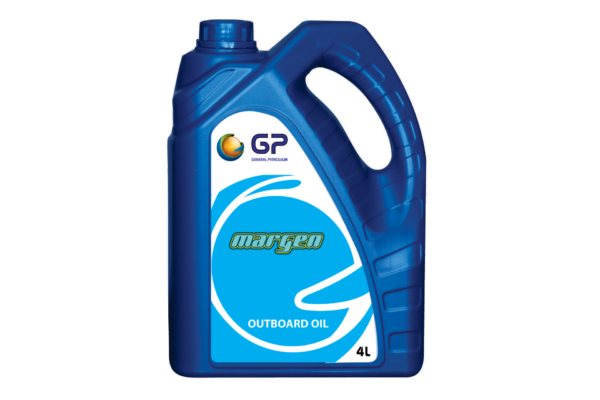 GP MARGEN OUTBOARD LUBRICANTS are superior quality, non ash forming two stroke gasoline engine oils formulated with solvent refined paraffinic HVI base stocks and selected additives which provide excellent detergency in air and water cooled two cycle engines. It keeps engines clean, extends engine and spark plug life and protects the engines against corrosion and frictional wear. It also minimizes pre ignition spark and plug fouling problems.